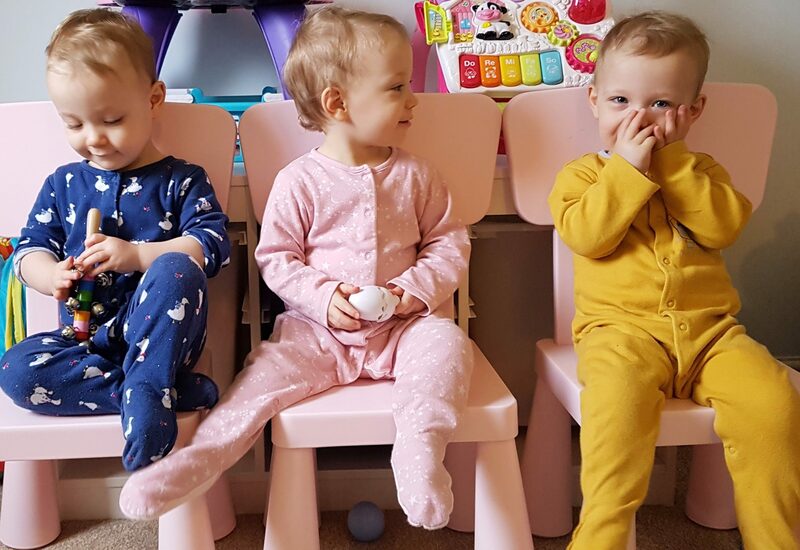 Over the last few weeks there has been a big change in developments with the triplets growth and the way they interact with each other. Whereas before they would be mostly content to play together, it would seem they are becoming a lot more jealous and aggressive with each other. For us as parents, especially my wife it is making the days more stressful. If one comes over for a hug, the other two will make their way over and it becomes an all out scrap for attention. Lacey has figured out that headbutting and pushing over is a more effective way of eliminating her opponents rather than hitting them on the heads with whatever is at hand. Don’t get me wrong there are still times they play and share together, it’s just less frequent now. Ava has began taking her first steps which is encouraging the other two to do the same. Blakely is further ahead with her vocabulary than Ava and Lacey. But all in all they are developing well. As for communication, the girls have developed their own language. The health visitor explained they may take longer to develop real words and speech as they have no reason to learn words from us. They are quite happy to chat in the language they have. It’s funny to sit and listen to babbling and laughing with each other and occasionally wander over to sit and tell us stories with all the animated faces and arm and hand movements. We just agree, because whatever they are telling us is obviously important. So as the home becomes more of a wrestling arena we just have to do our best to calm and gently start to discipline them, because if we let them carry on regardless we are going to end up with a gang situation in our home. My wife, Frankie and I against the force that is the triplets. And what a nightmare that would be!